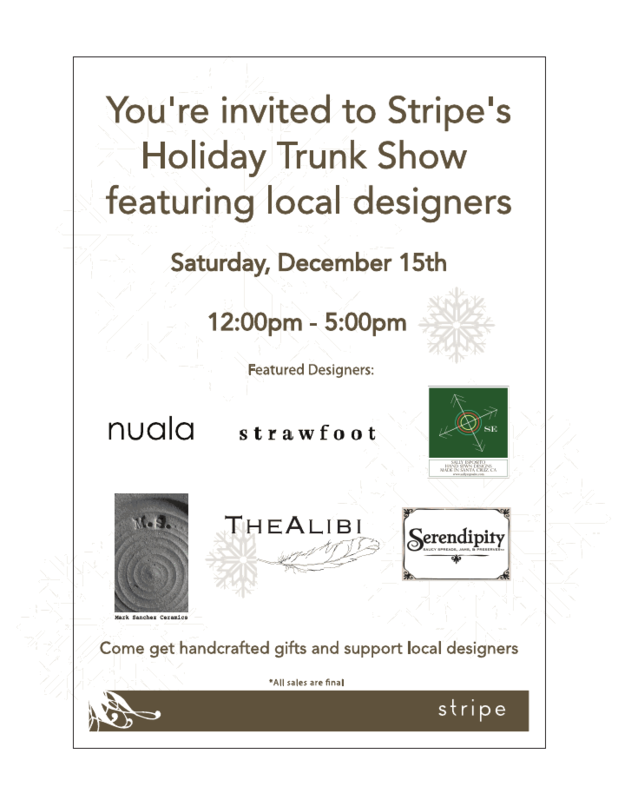 Holiday Trunk Show at Stripe This Saturday! 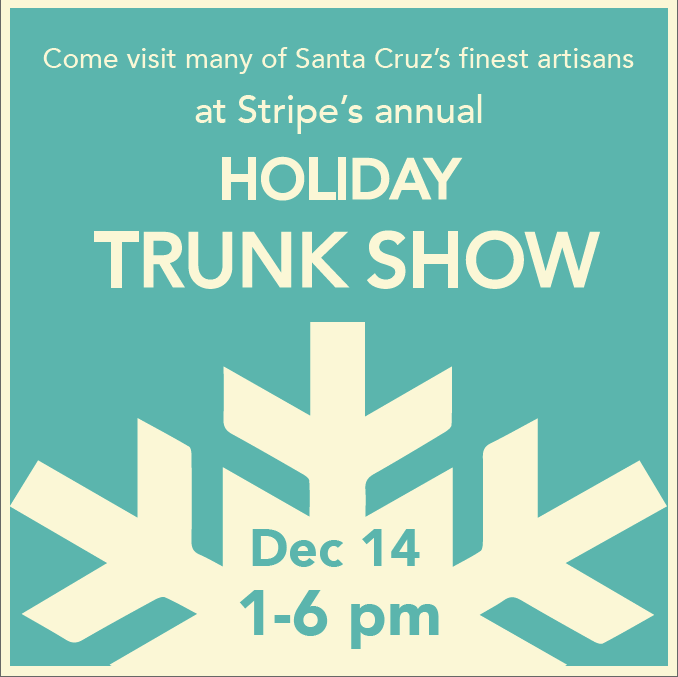 Join us this Saturday from 1:00-6:00 for Stripe’s annual Holiday Trunk Show. It’ll be our last event of year and great time to stock up on teacher’s gifts, holiday party host gifts, and jammy gifts for those in your life who LOVE jam! $25 & Under Gift Sale this weekend! The $25 and Under Gift Sale is this weekend! Stop by and pick up all of your holiday jammy gifts. Kristen will have the fantastic Santa Rosa Plum, our Original Three Pepper Jelly, fan favorite green Jalapeño Jelly, and the coveted Brandied Apricot Preserves. We’re busy gearing up for the winter holiday season with new flavors as well as our classics. We hope that you’ll be able to join us for one or many of the events in the coming weeks. 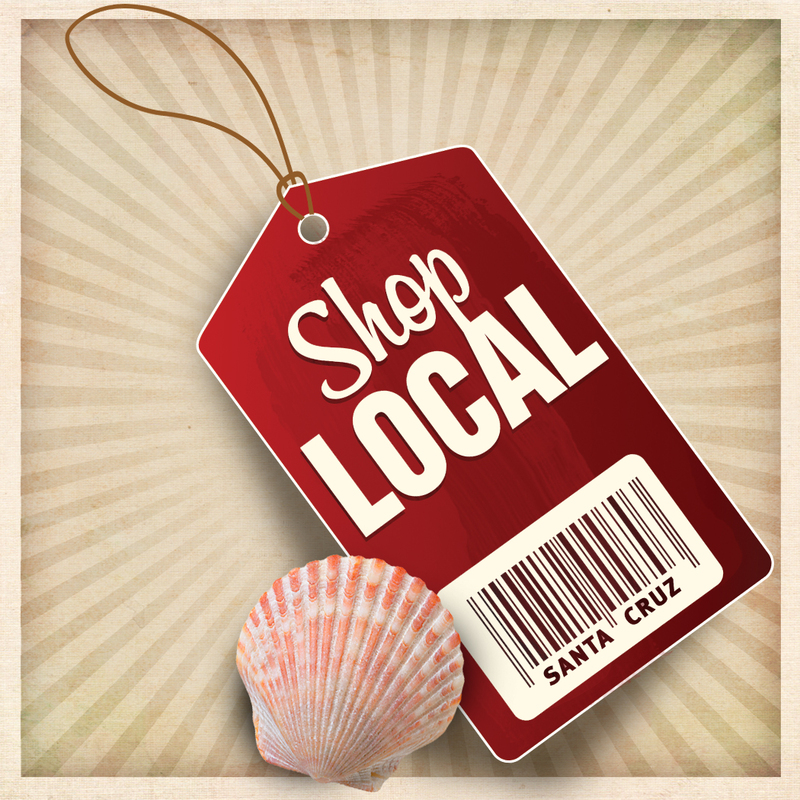 As always, you can order from our online shop if you can’t make it to any of our winter events. Marmalades return to the Serendipity web store!